Alpine Fir (on left) and Mountain Hemlock. More photos below. We didn't grow these trees--we couldn't if we wanted to. 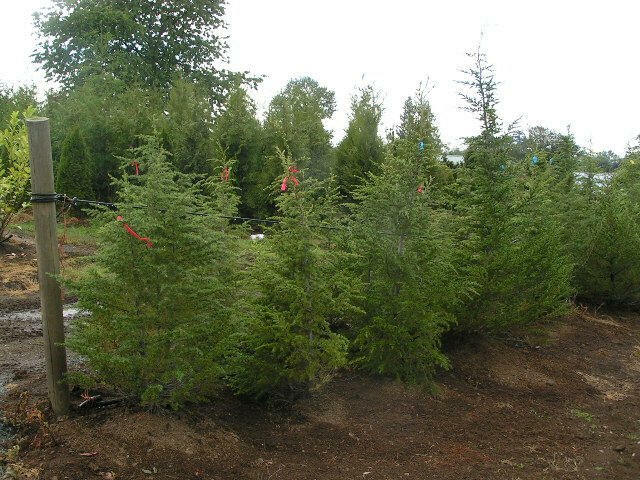 These Alpine Fir and Mountain Hemlock are trees dug (under permit) from high in the mountains. There they grow maybe 1/2" a year, and are truly works of art. Mountain Hemlock are on the Great Plant Picks list for the Pacific Northwest. Mature Height: to 10 ft. Mature Width: To 4 ft.
established the growth rate will increase. 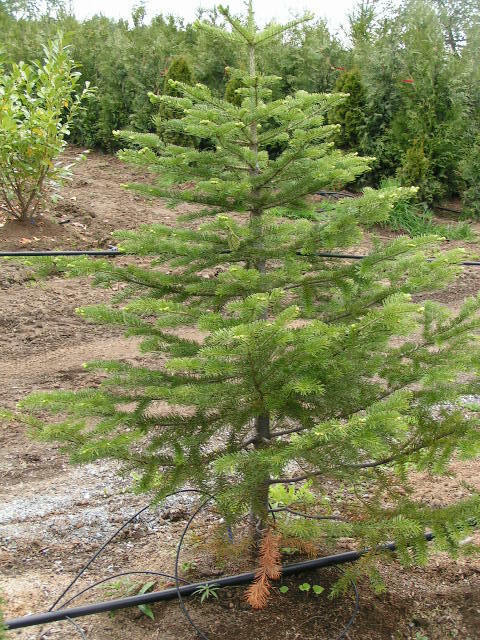 Alpine Fir and Mountain Hemlock at our nursery. 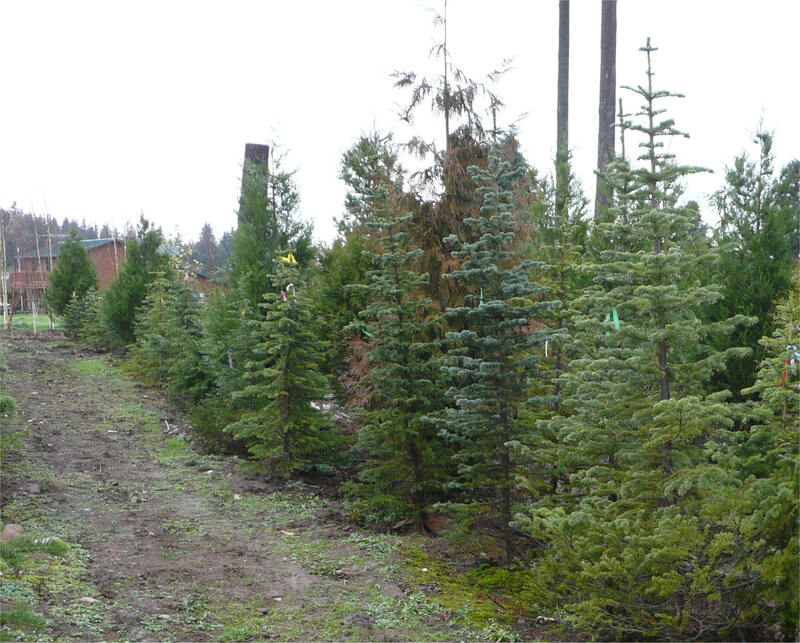 We believe we have the best selection of these trees in the Northwest. 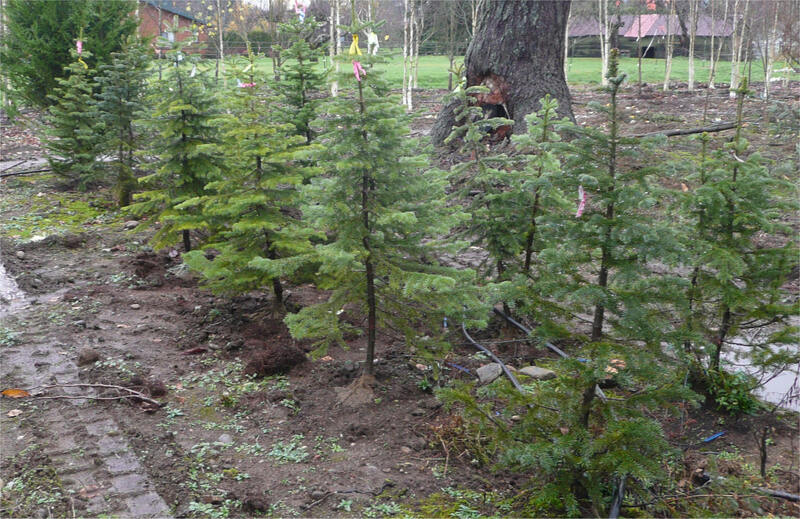 That said, our availability of these trees is constantly changing; please contact us to confirm availability. Each if these trees is unique, and so we price these trees individually. Please contact us for more information.